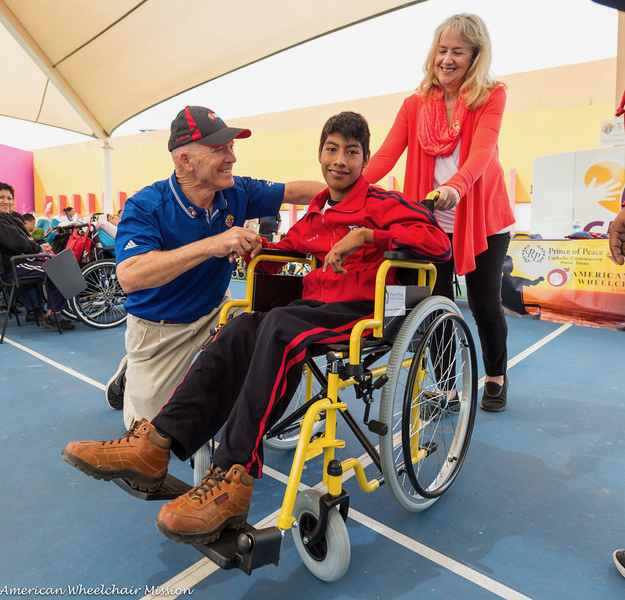 Change the lives of people with disabilities worldwide. 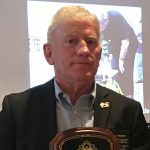 Councils are encouraged to donate at least $150 for a wheelchair. Through partnerships, councils can also purchase a large container of 110 to 280 wheelchairs for their own donation sites. 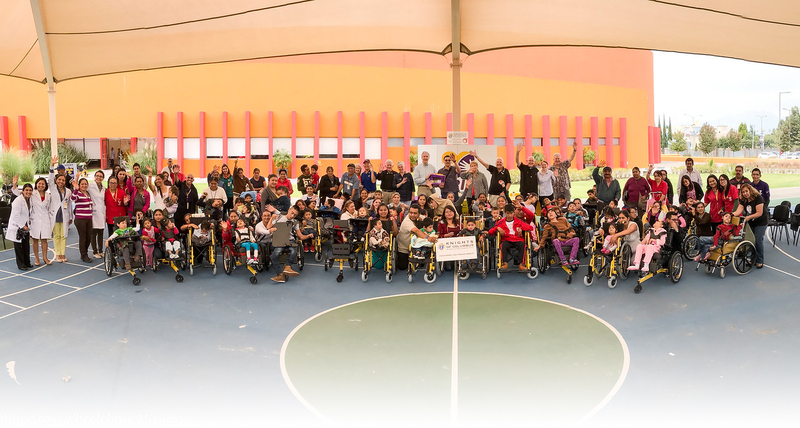 A featured program, Global Wheelchair Mission counts for two credits toward the Columbian Award. It is estimated that more than 100 million people throughout the world are in need of a wheelchair but cannot afford one. These people cannot be helped by canes, crutches, walkers or prosthetics. A wheelchair is their only hope for mobility. On average, developing countries around the world have about three percent (3%) of their population physically disabled and unable to afford a wheelchair. In the 60 or so countries with civil unrest, landmine and unexploded ordnance problems the percentage of physically disabled can rise as high as Angola’s twenty percent (20%). Afghanistan, Iraq, Cambodia and Sierra Leone are not far behind. Colombia is the only country in the western hemisphere with landmines actively being planted by anti-government rebels, and has a growing problem. The reasons for physical disability include war, disease, accidents, lack of health care, aging and others. 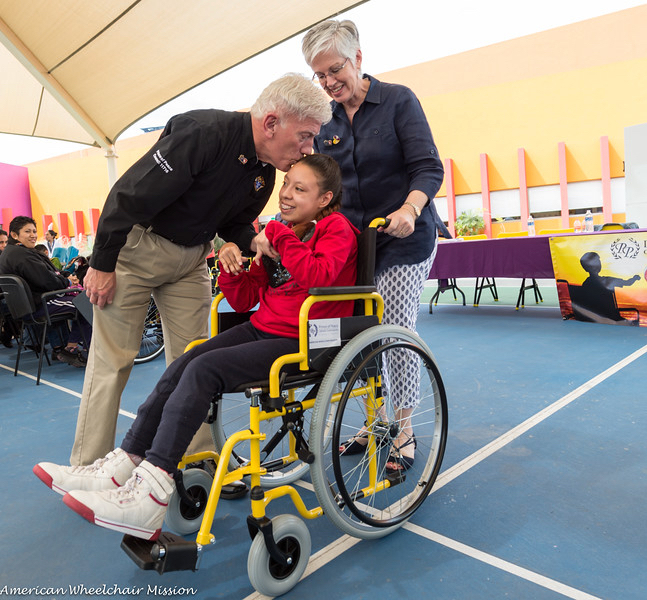 The delivery of wheelchairs to physically disabled people allows children to go to school, adults to go to work and provide for their families and the elderly to get out of a bed they may have stayed in for years at a time. But a wheelchair does not only change the life of the recipient. We estimate an average of ten lives are improved by the delivery of each wheelchair. Families can attend worship services and social gatherings together; people who have crawled on the floor or ridden on a skateboard can now look family in the eye for the first time and feel dignity. 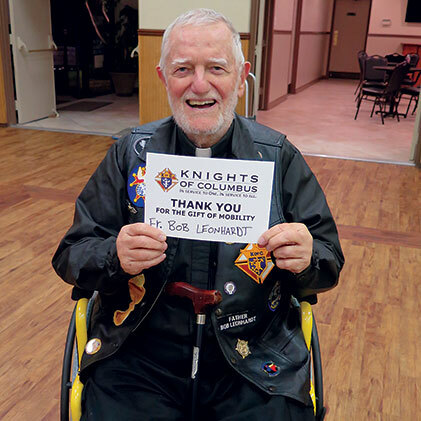 The prayers of entire families are answered with the gift of a wheelchair.